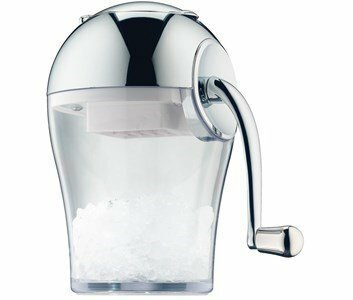 Your friends will be delirious when you introduce them to this fun ice crusher. Turn your balcony into a bar of caipirinhas and enjoy the best sunsets! In chromed metal and synthetic material. The blades of the grinder are made of stainless steel and are moved by a crank. No matter the theme, the dress code, how many guests will fill your garden. It's all about fun and good energy.